So you’re keen on becoming a Draftsman? Looking for the right CAD Degree for your career? Well, I’m here to help. 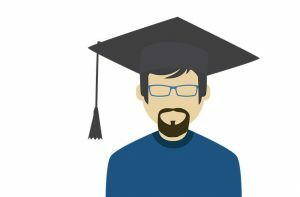 In this article I’ll try to break it all down for you into simple sections, starting with why a CAD Degree or a Draftsman course is useful, what Degrees and Certificates are available in the market, what courses you’ll need to take and choose from, and finally I’ll try to help you figure out which CAD Degree (or Certificate) is the best one for you. 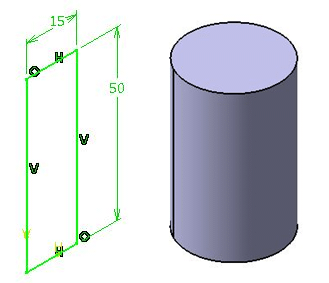 Why is a CAD Degree so useful? As technology advances and the world economy continues to grow, CAD skills will continue to be high in demand in almost any job market on the planet. Good CAD training, a focused Draftsman course and eventually a Degree in Computer Aided Design will therefore enable you to enhance your expertise and stand out in today’s very competitive job market. 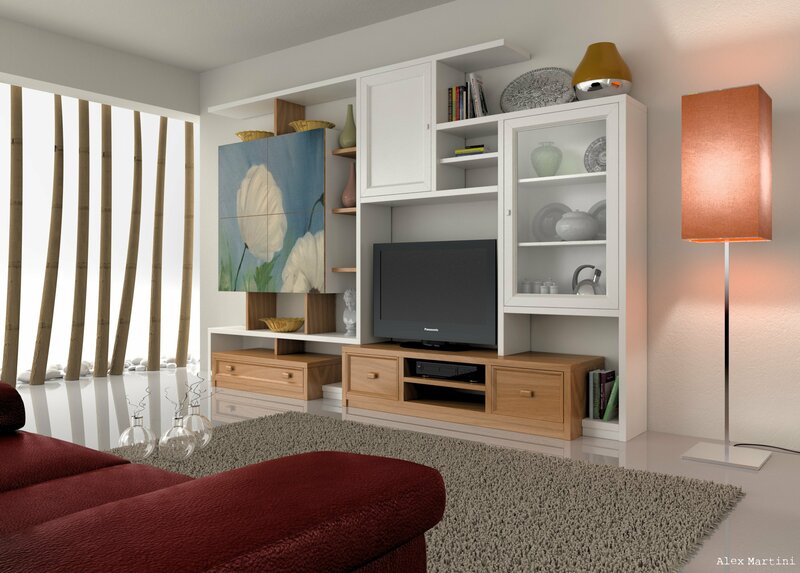 Designers: Designers use CAD software (like SketchUp, Maya, etc) to produce 2D models and 3D renderings for their designs, where they can easily add any aspects like interior, exterior or surface features. Architects: Architects use CAD software (like AutoCAD, Revit, ArchiCAD, Microstation, etc) for creating floor plans and 3D renderings of their projects (be it buildings, homes and any other sort of structure). 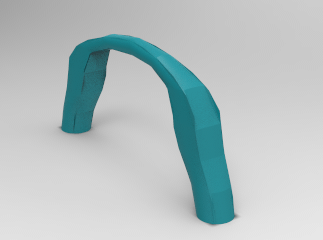 They also use CAD software to analyze a structure’s components and structural integrity. Engineers: Engineers use CAD software to create designs and detailed specifications for the manufacturing of mechanical components or systems for their projects. Drafters: Drafters use CAD software (usually AutoCAD) for converting Engineer’s designs into technical blueprints or drawings. These blueprints are then used to create structures, tools, machines or projects. Digital Media Creators: Even in the media and entertainment sector there is high demand for CAD knowledge, as many advertisements and other projects require accurate 2D or 3D designs. But that’s not all…There are so many more industries that require CAD skills, like Product Designers in the Jewelry Industry for producing 3D models of a Ring, which is then used as a preview for potential customers. As you can see, the demand is HUGE. Which Drafting Programs Are Available? As said, Computer Aided Design software is used nowadays in countless industries worldwide, and the demand for workers with CAD training and education is just growing bigger every year. As a result, there are more and more Draftsman courses and drafting programs popping up in schools, colleges and universities. Many universities include CAD courses in some of their degrees (like Architecture, Civil Engineering, etc), while other Institutions are offering full CAD Degrees. For those interested in working as a CAD drafter (or Draftsman) – but without spending all that time on an associate degree – there are plenty of certificate drafting programs out there, mainly at technical or trade schools. During a CAD certificate program, you will only study courses that are directly related to your future occupation, be it architectural, electronic drafting, etc. The main differences between the associate CAD degree: The certificate program usually has much less focus on drafting theory, and doesn't require general education courses, although you might have other classes related to math. What are the admission requirements? You will need at least a high school diploma or GED. In some institutions, you might need to go through math or English tests to evaluate if your level is adequte. How much does it cost? This naturally depends on the reputation of the school, but a year long full-time CAD certification program at a technical school or a community college could possibly cost you a bit less than $10,000. A Professional CAD certification is and is a good opportunity for draftsmen to show they've committed themselves to learning as much as they can about the CAD trade. This is usually offered on a voluntary basis. However, some companies (employers) might require only candidates who've been professionally certified (though this is rare). The certifying organization for draftsmen is called the American Design Drafting Association, and drafters who want to become certified must pass the Drafter Certification Test. In some cases, certified Draftsmen might get higher salaries and benefits than draftsmen who aren't certified. These are CAD design courses offered by educational institutions who've been authorized by major CAD developers such as AutoDesk or Dassault Systems to teach and certify students. These Authorized CAD Courses usually provide very focused lessons on specific software, empowering you with an official ‘Autodesk certification' for example. A Draftsman course in Autodesk or Solidworks provides a certification that can be extremely useful in any Drafters career. Some Authorized CAD design Courses are provided in training centers or traditional classroom environments, while other authorized Draftsman courses are provided purely online with virtual teachers, webinars, videos and self-paced learning. If you prefer studying in a college, you can also find CAD design courses and training in some colleges. These will usually offer either general drafting programs, or focused draftsman courses for learning specific software such as AutoCAD for example. Colleges will usually let you choose the length of your preferred study program, either a part-time 12-months program or a full-time 6-months program. 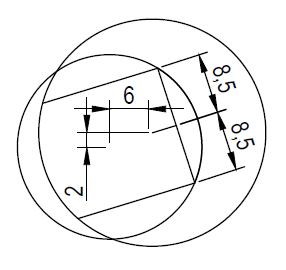 Some colleges even offer online CAD design courses for distance learning. College drafting programs will cover all the major skills you’ll need for becoming a draftsman. As you finish a college program, you’ll receive a certificate that states your expertise in CAD. For those of you on a budget or just looking for a cheaper way to get a good education in drafting – there’s always the option of Non-credited courses. These sort of draftsman courses are good for mastering a specific CAD software (like a string of AutoCad Lessons), but they usually don’t go broad or deep into the drafting world. 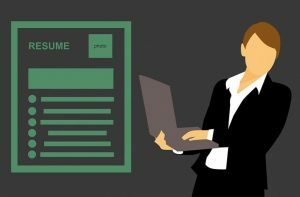 The big down-side: You won’t be getting a certificate or any credit for completing these courses, so if you’re looking to improve your resume or advance your career – you better go for credited courses. If you still haven’t gotten your college or university degree, or if you’re looking to obtain another degree in CAD – this option might be the best path to secure a successful career in the CAD world. There are a few degree drafting programs that include their form of CAD training, with general courses as well as specific software courses. Associate’s degree: This is a 2-year CAD degree that is offered at most technical schools, junior colleges or community colleges. This sort of degree will open up the door for you to most entry-level positions.Most Associate Degree programs in Computer Aided Design will require 2 years of full time study to complete (although part-time studies which will take longer is possible in many colleges as well).What will you learn during these 2 years or more? The courses will include some science courses like physics and math, as well as technology, graphics and computer studies. On top of that you will learn some general courses in social sciences, humanities, etc. Bachelor’s degree: This is a 4-5-year degree that is offered at colleges, universities and also some online schools. Some companies might require a Bachelor’s degree just to get an interview. Master’s degree: This is a 1-2-year degree that is obtained after a bachelor’s degree. This degree will go deeper and enhance an expertise in your field and will definitely help you get a higher salary when the time comes. All the above degrees will teach and train you on the use of CAD software as it relates to your discipline or industry. If you’re a Civil Engineer, you will most probably learn how to use AutoCad or/and Revit. If you’re looking for authorized courses, certifications or a full CAD degree – Accreditation is crucial! Proper accreditation makes sure that a school is delivering high quality education. It usually involves an official Accreditation institute that runs in-depth evaluations of a school, including peer reviews and many other strict procedures. All this is done to ensure the school is indeed capable of providing the promised academic education that it’s supposed to. So as you go through the process of making that list of possible schools and colleges, ensure it’s accredited. You can check this in these national institutions: The Council on Higher Education Accreditation (CHEA) and the United States Department of Education (USDE). These institutions have large and usually updated databases with all the accredited schools and colleges in the country. Which CAD Program Should I take? I think we’ve listed almost all the of the available Drafting programs and courses out there, so now all that's left is for you to choose what’s right for you, but how do you choose? Well, first of all – you need to figure out what you’re after? 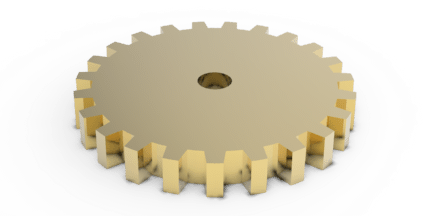 Are you a hobby designer looking to improve your CAD skills on a specific software? If that’s the case then you won’t be needing a CAD Degree or even an authorized draftsman course. You can easily find cheap courses online or even go through the many tutorials on our site and then get our Exercises eBook. However, if you’re looking for a professional career in Drafting, you’ll need to go for either an Authorized draftsman course with certification or some sort of CAD Degree. If you’re a working man or woman, and need to study around your working hours – go for an online draftsman course (but authorized only!). You’ll get your certification after completion, which will help you a lot in finding a job in CAD. If you have you’re eyes set on fast career advancements and higher salaries – go for a CAD Degree. It will be costlier, but on the long run – you will probably recoup that investment when you get that lucrative job and fat salary. Real Class or Online? Ask yourself if you learn better in a class with a real teacher and other students next to you? or do you prefer studying on your own pace online? Does it Fit My Experience Level? You definitely do not want to start a course where you don't understand a word the teacher is saying. On the other side, if you know the basics and looking for something more advanced – you don't want to spend lots of money on a course that turns out to be for beginners. Know your level of knowledge and experience and validate the level of the course you want to take. Best is to contact the school or teacher to verify. What are the Studying Methods? If you're the reading type of student, who learns best with books – then you should be OK with most courses. However, if you can't stand reading books – then you should look for draftsman courses that offer more methods like videos, webinars, virtual teachers, etc. Do They offer Good Support? Some schools offer virtual teachers that will always answer any of your questions, usually within 24-48 hours. If this is important for you – then make sure the CAD Degree and school you choose indeed provides good support. If you know what Draftsman Course you are after – check out our article about the Best CAD Schools. 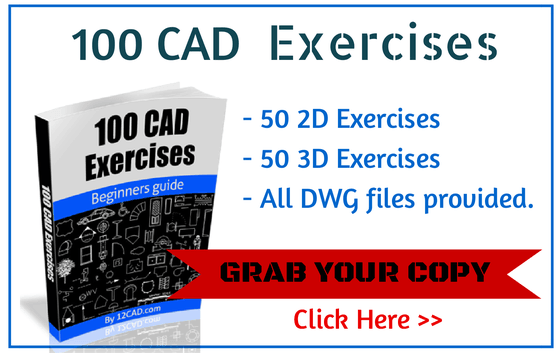 If you’re just looking for some more CAD exercises – check out our powerful CAD Exercise eBook here.